Thank You for Supporting CTKG Megan’s Stronger Than Cancer Statewide Fundraiser! 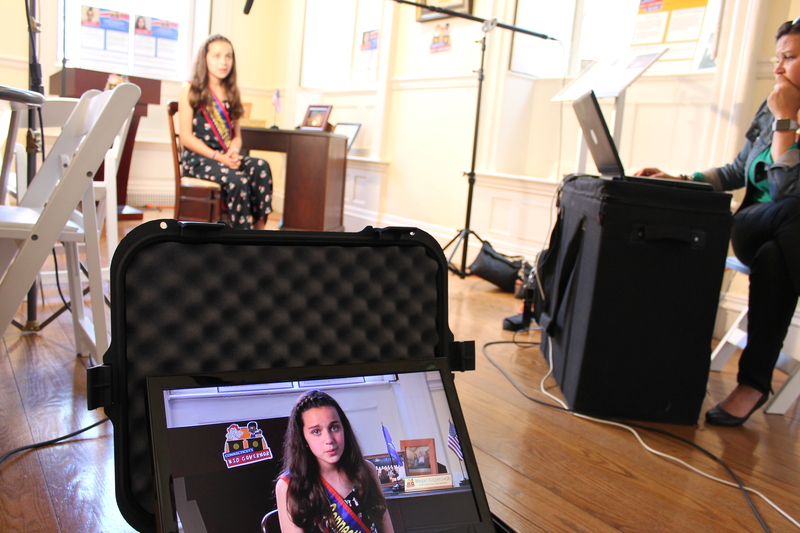 CTKG® Megan Kasperowski’s platform, Stronger Than Cancer, was focused on helping people who have cancer. One of CTKG Megan’s platform goals was to lift the spirits of cancer patients by providing entertainers who can visit them in hospitals here in Connecticut. CTKG Megan originally set out to raise $1,000 statewide to hire entertainers to cheer up the cancer patients at Yale New Haven Children’s Hospital in New Haven and Connecticut Children’s Medical Center in Hartford. Thanks to the generosity of students and online donors, she exceeded her fundraising target and raised more than $4,300! 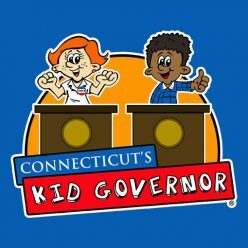 CTKG Megan invited schools across Connecticut to hold a fundraiser in May 2018 to support her statewide campaign. 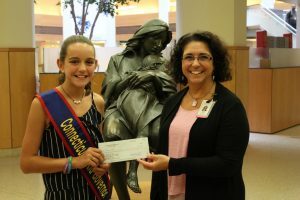 2018 CTKG Megan donated $1,250 to Connecticut Children’s Medical Center in Hartford in September 2018. 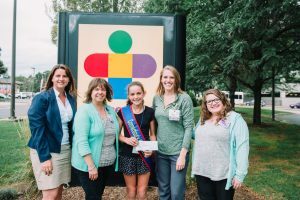 2018 CTKG Megan visited Yale New Haven Children’s Hospital in New Haven in October to present them with a check for $1,250. Stronger Than Cancer Hat Day Planning Worksheet– This planning worksheet helps students plan a school-wide Hat Day fundraiser in eight easy steps! Order Your Wristbands!– Schools that hold fundraisers can report on their donation totals and order their wristbands HERE. Please note that wristbands will be sent to schools after donation checks have been received by CPAN. Download an Official Hat Day poster! Congratulations to our three statewide poster winners!